Raleigh Urgent Care Center - Raleigh's premier urgent care center, established 1985. For 25 years, Raleigh Urgent Care Center has been providing superior care for urgent medical care needs of patients 10 years and older. Raleigh Urgent Care Center is the longest established urgent care center, under the original physician ownership, in Wake County. Since 1985, the priority at Raleigh Urgent Care Center has been to assess and treat the urgent medical needs of our patients with the highest respect and concern for their well-being. We strive to provide the most comprehensive, efficient and effective treatment with the goal of returning patients to normal daily activities as quickly as possible. At Raleigh Urgent Care Center, EVERY patient receives our full attention and receives the highest quality care available. Why experience the long waits and higher expenses of an ER visit when our friendly staff can treat your non-life threatening urgent care needs with no appointment necessary? If you are having a life threatening emergency, such as symptoms of stroke or severe chest pains, call 911 or go to the nearest hospital emergency room. X-ray, Lab and Physical Therapy onsite for your convenience. Sometimes your primary care provider cannot see you the same day. RALEIGH URGENT CARE CENTER CAN! Dr. 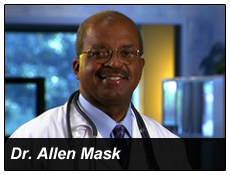 Mask is the founder and Medical Director of Raleigh Urgent Care Center. Since 1985, he and his staff have provided services to tens of thousands of patients. He has served as the Medical Reporter for WRAL-TV5’s health Team since 1993, covering a wide range of health topics each evening on the 5:30 news cast. Appointments are not necessary, but you may call us to schedule an appointment for general medical visits such as physicals, weight loss, flu shots or follow up visits. © 2011 Raleigh Urgent Care Center.